Don’t allow stress to hijack your life. Learn to recognise the signs and causes of stress and find out what you can do to help yourself. Everyone reacts to stress differently depending on your personality and how you respond to pressure. Stress can be caused by many things, such as work, money worries or relationships. It can cause psychological symptoms, such as anxiety and irritability, and physical symptoms, such as poor sleep. Don’t let negative stress hijack your life. 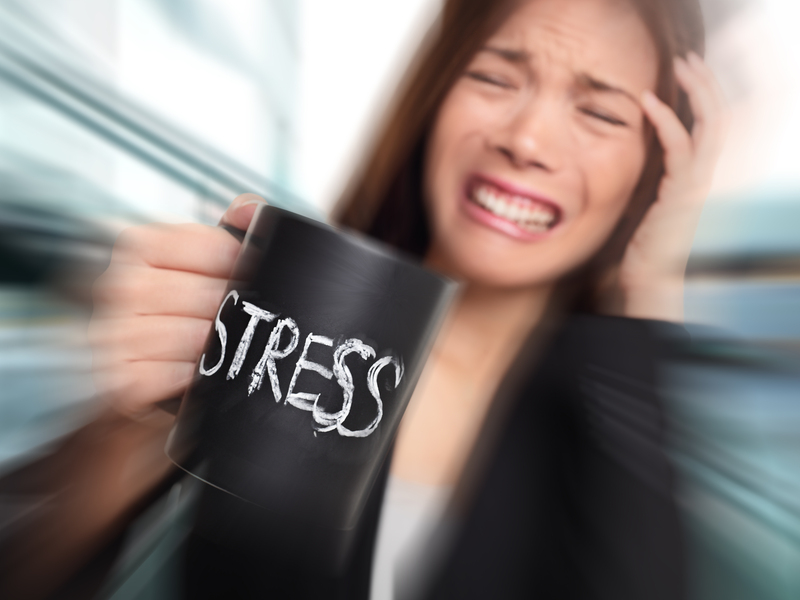 Learn the signs and causes of stress overload and what you can do to help yourself. We all need to learn how to avoid stress and how to deal with it when it is unavoidable. Many of your body’s control mechanisms happen without you having to think about them. This involuntary stress reaction to unexpected events is known as the ‘fight or flight’ response. When faced by danger, real or imagined, our body releases hormones such as adrenalin, which contribute to the ‘fight or flight’ response. These hormones increase the heart rate and blood pressure so that more oxygen and glucose can get to your muscles. You will also breathe faster and sweat more to cool these muscles down. All of these reactions prepare you to take action to deal with a possible threat. Modern day stresses don’t cause a ‘fight or flight’ response like our ancestors once required to survive in the wild, but they do cause our body to release stress hormones. In short, modern day lifestyles are such that stress reactions are difficult to avoid and we therefore need to learn how to deal with the stressors in our life. We all know that long-term stress can have a negative effect on how you cope with situations and may even be damaging to your health. There is no specific test to diagnose stress. Common symptoms of stress include: constant worrying, poor judgement, anxious thoughts, memory problems, mood swings, short temper, changes in eating habits, upset stomach and putting off responsibilities. There are many things you can do to begin to break this stress cycle. Rebalancing your life, exercising, relaxing more, eating properly and breaking addictions to cigarettes or alcohol can all be steps on the road to well-being. But sometimes it can be hard to get started, especially if you are feeling down. This is one time when visiting a hypnotherapist can be especially valuable. As it is not the situation itself that causes stress (or everyone would be stressed by the same situation), but our reaction to the situation, hypnotherapy can be effective for managing stress.Hypnosis is a pleasant and natural state which you will recognise if you have ever become so absorbed in a film or a book that you were not aware of the world around you. A trained clinical hypnotherapist can work with you to use this state to help your subconscious mind break the negative thoughts and behaviour patterns which can lead to stress. Your therapist will work with you to find better ways to manage your stress. By teaching you how to relax, the hypnotherapist will prove to you that you can begin to control your feelings of anxiety immediately. Once you get used to this and find you can start to control your anxiety, you are in much better place to make lifestyle changes and break bad habits. There is a well-known saying: ‘if you always do what you have always done then you will always get what you have always got.’ So, for permanent change, you need to change your lifestyle and patterns of living. This can seem daunting but there are many techniques which can help you map a new path. Using psychotherapeutic techniques can help you see old situations in new ways and cope with things which you have previously thought were insurmountable. Your therapist may encourage you to keep a stress diary so you can see what you find especially stressful and then work out ways you can cope with or change these situations. They may also teach you some techniques for stopping and changing negative thoughts around your everyday life. As you learn to use your mind to control your body’s stress responses and begin to understand how to keep problems in their place, you will begin to feel the freedom of being in control again. Angela is a qualified Stress Manager and as such can offer techniques that will help you overcome stress.